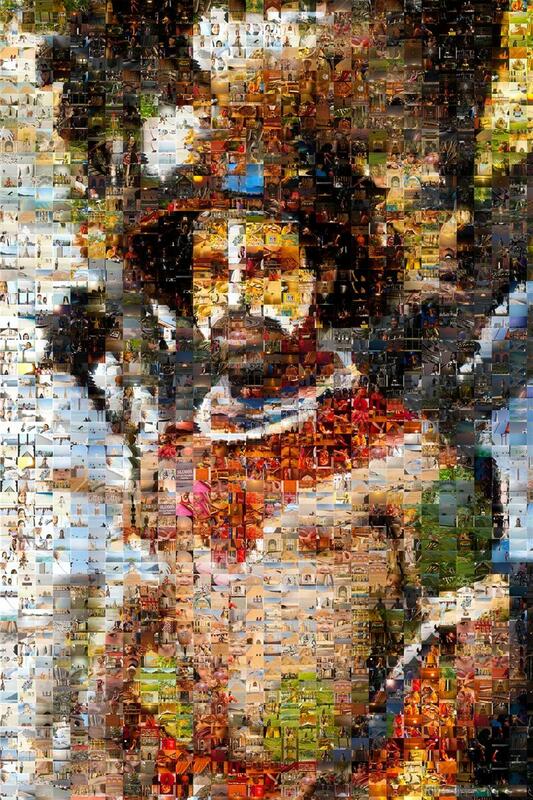 A photo mosaic of a Papua New Guinea tribesman. Move your mouse over the image above to see the original image published on October 7, 2011. See larger mosaic image to view individual tiles. It's the end of 2011 and as is tradition, I'll use a great piece of software to incorporate all of my previous photos into making individual mosaics of my favorite images of this past year. If that last sentence didn't make sense, just have a look at today's images and I think you'll get the gist of what I'm talking about. 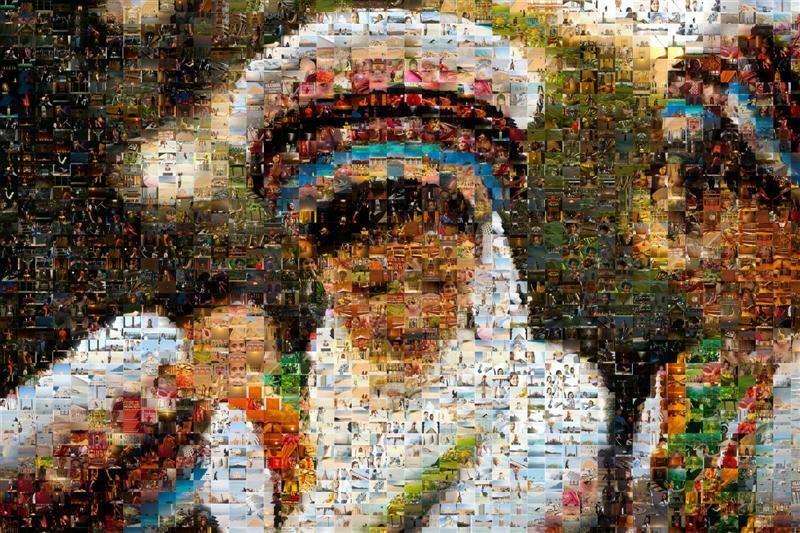 A photo mosaic of a group of Chinese Bai minority girls dress in traditional clothes. Move your mouse over the image above to see the original image published on January 16, 2011. See larger mosaic image to view individual tiles. 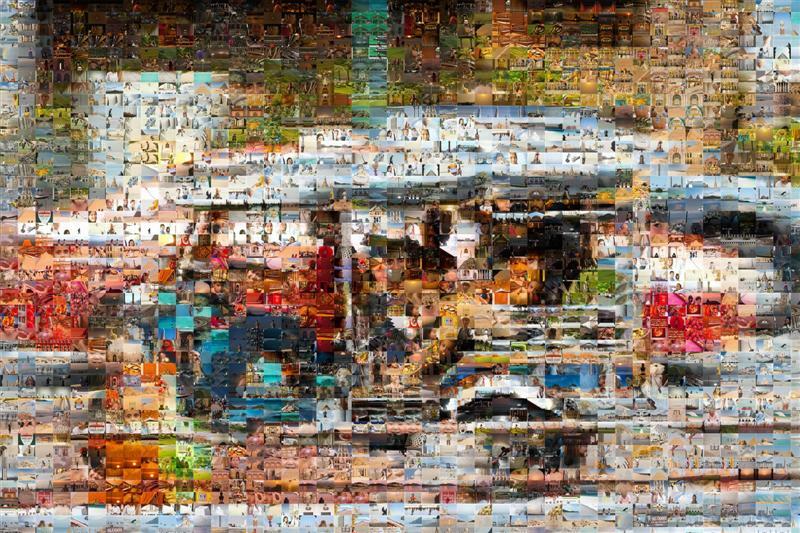 A photo mosaic of a water fighting tuk tuk drive by during Thai Songkran celebration. 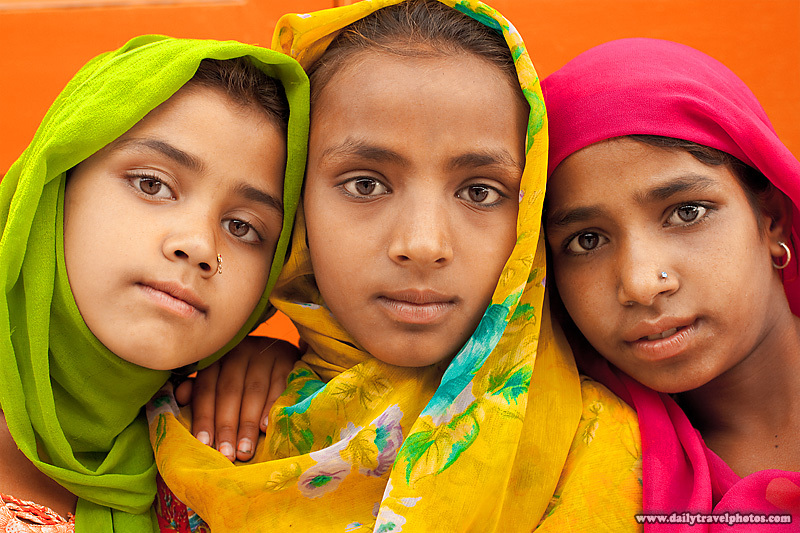 Move your mouse over the image above to see the original image published on April 22, 2011. 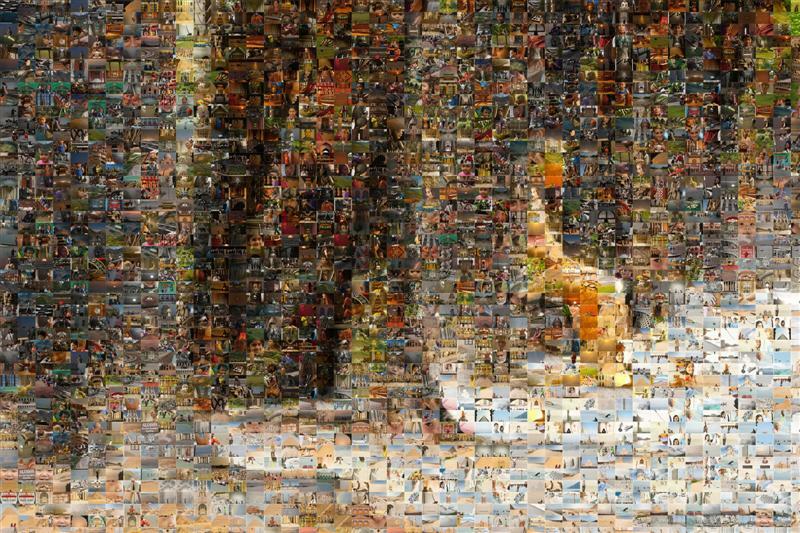 See larger mosaic image to view individual tiles. A photo mosaic of three colorfully dressed Sikh girls. Move your mouse over the image above to see the original image published on May 29, 2011. See larger mosaic image to view individual tiles. 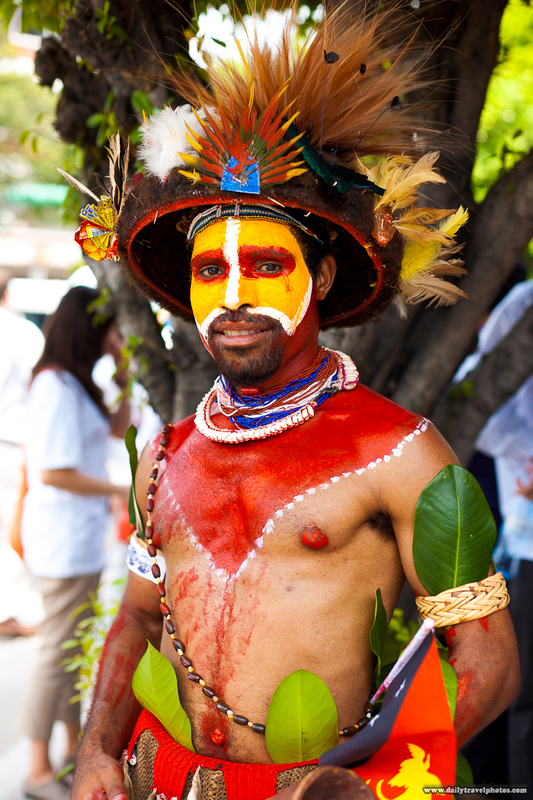 A photo mosaic of a young Balinese dancer. Move your mouse over the image above to see the original image published on June 18, 2011. See larger mosaic image to view individual tiles. A photo mosaic of a Parisian street performer dressed like an Egyptian pharaoh. Move your mouse over the image above to see the original image published on July 27, 2011. See larger mosaic image to view individual tiles. Thank you for all you have offered so far and enjoy your break, Guy. Happy New Year and thank you for your photos all year long. Thank you, Kim for your readership! I will definitely enjoy my little break without the stress of worrying about posting new photos. Hope you have a great New Year also! I changed my email address. I just found your site. I love the mosaic effect on photos. You have talent and great ideas. I look forward to following your work. best regards. 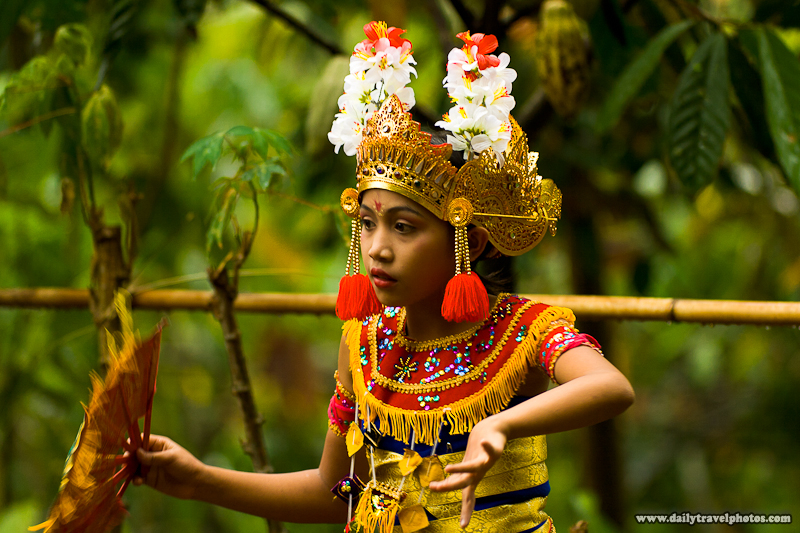 Love the photo mosaic of a young Balinese dancer! Very beautiful ! Here is given some photograph in a creative way. It has attracted my mind. Can you post more photos here? It's wonderful! I like to learn how to make that one too. heheh..Anyway, very creative. I like it. I had to comment to let you know how much I enjoy your work. Your passion is very evident and I enjoy how you write descriptions for your photos. Just keep it up! A wonderful website with full of inspiration. I love your pictures a lot especially all the pictures of Siem Reap, Cambodia. Will you please let me to use some of your photos on our website? I will credit your name and site link on our website at: http://amasiatravel.com/company-profile/photo-credits/. Thank you and keep your great work. Please come back as we miss you! Your li'l break seems very long. Cool! Look awesome with creativeness. Love these photos and the production. Do you sell your photos. I would love to use one of your pyramid photos for a book cover.